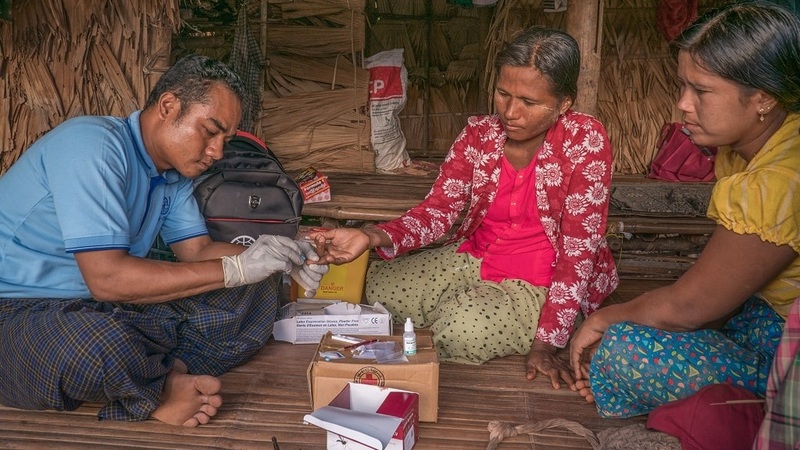 A health worker conducts malaria testing in a remote village in Myanmar. Photo. ADB. In the Greater Mekong Subregion, unregulated medicines in the supply chain, including substandard or fake medicines, are fueling resistance to artemisinin combination therapies, the most effective treatment for falciparum malaria. A project supported by the Asian Development Bank (ADB) examined the regulation and governance practices of the pharmaceutical sector in the subregion, which is key to effective delivery of healthcare, including treatment of malaria. In a briefing paper, ADB noted that national regulatory agencies, who serve as gatekeepers of the medical product supply chain, are not yet well equipped to support the elimination of malaria, a goal that governments across the region are committed to achieving by 2030. The study showed that national regulatory agencies lack the resources needed for effective regulation within their respective jurisdictions. It is through registration with a national regulatory agency that a manufacturer brings products to market. Post-marketing surveillance of how those products perform and impact patient safety—including how quality is maintained in storage and distribution, and adverse events associated with their use—also falls under the agency’s remit, as does inspection of manufacturing facilities and regulation of product promotion and advertising. International collaboration and the implementation of common standards and activities will help the national regulatory agencies increase their capacity and improve regulatory effectiveness, leading to better public health outcomes. ADB engaged the Centre of Regulatory Excellence (CoRE) at the Duke–National University of Singapore Medical School to assess the capacity gaps in the GMS NRAs. To address the identified needs, CoRE worked with the national regulatory agencies to develop national capacity development plans and, by comparison of needs, the regional road map for regulatory systems strengthening in the GMS. To foster ongoing regional collaboration, the Asia Pacific Regional Regulatory Partnership for Malaria Elimination has been established in partnership with ADB, to engage regulatory stakeholders and technical partners to support coordination of regulatory strengthening activities. This article was adapted from the ADB Brief, Strong Regulation of Medical Products: Cornerstone of Public Health and Regional Health Security.